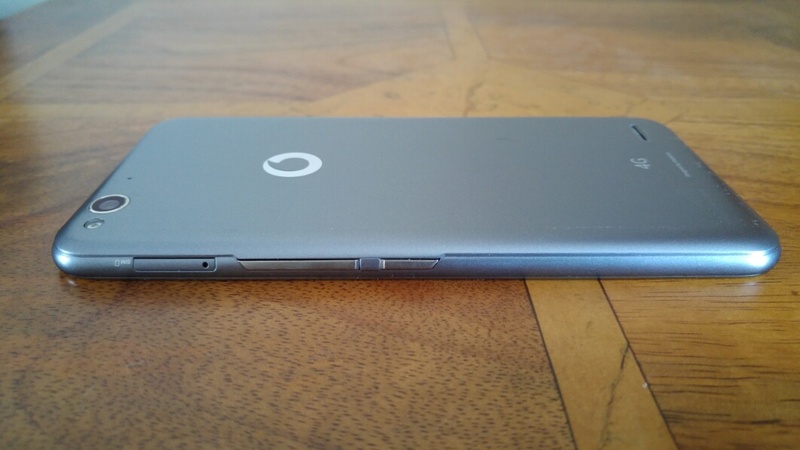 Welcome to my review of the Vodafone Smart Ultra 6. 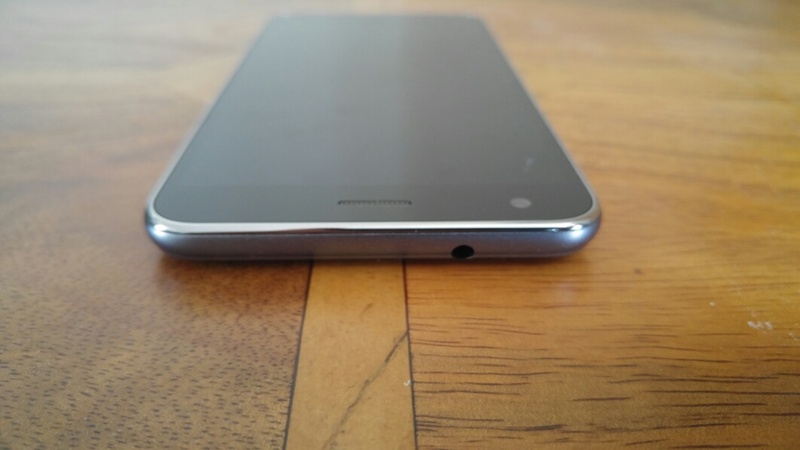 The phone is manufactured using plastic and glass for the screen. The plastic feels cheap. As you can see from the photos it a non offensive design. The only criticism I have is the loudspeaker placement being on the rear, meaning it is easy to cover the speaker by accident and that often the true volume of the device gets hidden. Despite its low cost, it has a micro SD slot for your, photos, media and documents. The Vodafone Smart Ultra 6 (VSU6) costs £125 on pay as you go and is unlockable for a few pounds using eBay. So with this price in mind, let’s look at what you get for your money. First up, take a look at the specifications. The beauty of this phone is that it runs near stock android lollipop 5.0.2. Vodafone have added a few of their apps that can on the whole be uninstalled or frozen. In terms of radios, the phone has all the usual wifi, Bluetooth and 4G LTE. NFC is included too which works really well. Extra tricks included with this phone are adaptive brightness, double tap to wake and on the home screen the ability to open an app of your choice when you swipe right. The phone also has a notification light. Casting the screen is also possible. USB OTG is supported. 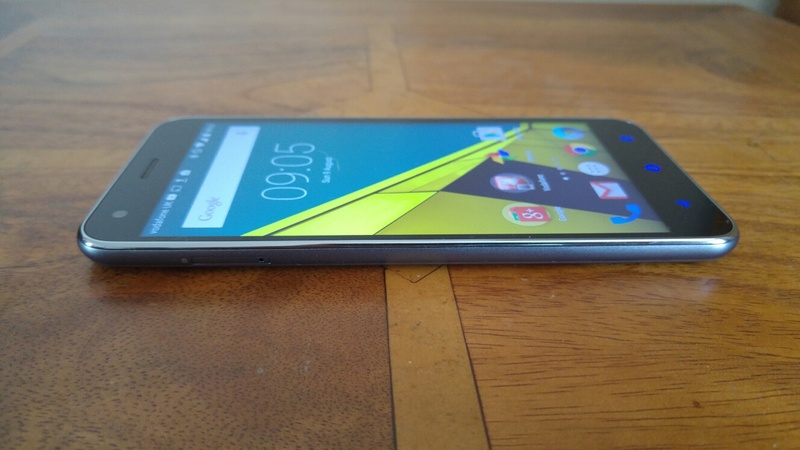 But the phone is not about the tricks, it comes with a decent level of hardware components. The 1080p screen offers average viewing angles and is visible in sunlight. The phone radios connected with ease and the call quality was ok too. The built in video app is neat too. Whilst playing a video, sliding up or down on the left side of the screen adjusts brightness, volume is controlled on the right side, and if you slide your finger across the video you can scrub forward or back accordingly. The battery is a decent 3,000mAh and the fact it’s only powering a 1080p screen equates to a proper days use, maybe 2 with light use. Operation. 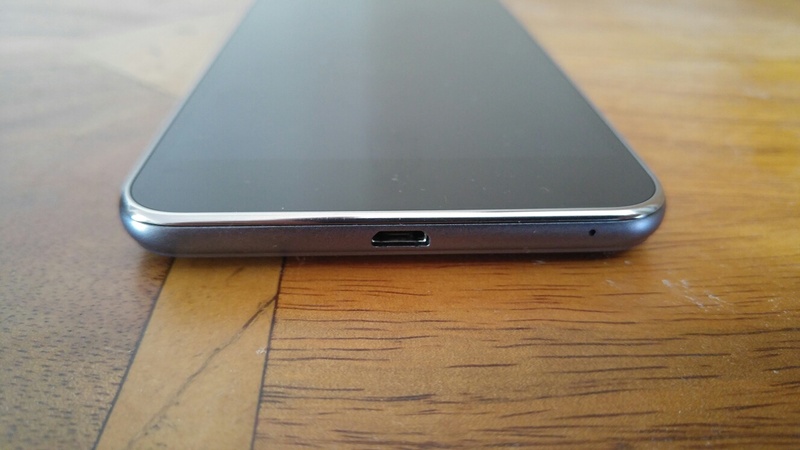 The Snapdragon 615 handles most things really well. However, heavy media and gaming will take a hit with the game frame rates. The AnTuTu score is only 26,199. But the upside is a phone that does not get too hot and maintains decent battery life. Below some screen shots of the settings and home screen. The camera app is a simple affair with more options than you would expect. Settings in auto for timer, flash, full screen on/off, shutter sound on/off, location tags, review photo on/off and storage location options. The volume keys act as zoom controls. You can use your fingers to achieve a max of 4 x zoom. Camera modes include filters, smile detection (this works as an option when using the front camera), time lapse with either a 30 or 60 second interval, HDR, panorama and multi exposure. The multi exposure allows for a lot of photo trickery with different options from simple, background, collage, brightness and darkness. For example the simple option allows you to merge to photos. The front camera doesn’t include beautify options, but the quality is reasonable. Even a manual mode is included. The grid option provides nine grids or golden spiral. The level guide is self explanatory. White balance options are incandescent, daylight, fluorescent and cloudy. ISO ranges from 100 to 1,600. Exposure from -2 to +2. There is no shutter control option. The VSU6 really does not like low light from the rear camera. Loads of noise. On the plus side, the Expendable Burger was magnificent. Auto mode used for this shot. But again this is a £125 phone. The lighting was good for this shot, but the result was just passable. Auto mode. Good daylight, and a reasonable photo. I would be happy to share this. Snapped in auto mode. I always take a photo of my local church with nearly every phone. That way it is easier to compare phone from phone. This is a much better result, although the sky is blown out by the sun. Taken in auto mode. The resolution drops in HDR, and personally I have not liked any of the other HDR shots snapped on this phone. Avoid using HDR on this phone. Surely a £125 will sound rubbish. Wrong actually. Bluetooth apt-x is included. USB Audio is supported only using USB Audio Player Pro app. I honestly didn’t expect USB Audio to be available at all at this price point. The loudspeaker is a bit thin and harsh but the sound level knocked out an astonishing max of 88db. Headphone output was loud and reasonable too. Bluetooth audio is reasonable too. In fact I’m writing this while listening to my music connected via Bluetooth from the VSU6. As I mentioned before, it is a shame the speaker placement is on the rear. At £125 this is a great value phone and the fact it can be unlocked so easily makes it a steal. Great specification and extra functionality across the board. One of the best budget phones I have reviewed to date! Would like to know if the 16GB storage is partitioned in any way (or just a straight up 1 partition) + can you move installed apps to SDcard? Great review Gavin! Thx. Would like to know if the 16GB storage is partitioned in any way (or just a straight up 1 partition) + can you move installed apps to SDcard? I’m writing this on a Elephone P8000, which is a very similar price and arguably much better specced. If it was more widely available this might top the SU6 even! The value in the < £200 Android market is staggering. How did you get the OTG to work on this phone. Yes….Please tell us if you actually USED OTG or did you just get told it had it ?? Absolutely. Transferred music and photos across. Thinking of one as second phone on Vodafone Red +…..its free just pay £15/month….unlimited text/calls and just share my data across (but OTG better than keep plugging to PC!! ).